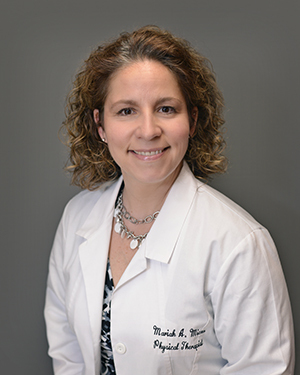 Mariah is a graduate of Daemen College in New York and has been practicing physical therapy for 19 years. She began treating patients with vestibular issues in 2003 and has been certified as a Vestibular Rehabilitation Specialist since 2007. She is board-certified by the Maryland Board of Physical Therapy Examiners and is a member of the American Physical Therapy Association.